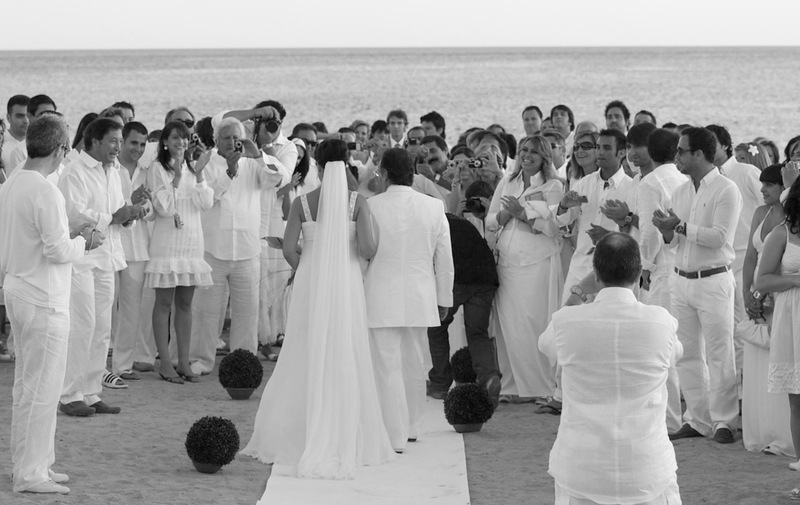 Symbolic weddings are very popular and more attractive than usual ceremonies. Each wedding is customized with unique elements in order to tell that special story. Music plays an important role as it expands emotion throughout the place during one of the most unforgettable moments of your life. Your family and friends will participate reading and sharing experiences you have lived together. 3 parts: Introduction, readings and ceremony. The ceremony will be organized about 4 or 3 weeks before the wedding. There is no need to do it any earlier as it is then when you will be more focused on the event details. Every step to be followed will be written down in a document for you. This document will be sent to the Wedding Officiant and every step to be undertaken will be thoroughly explained to you. Guess! We always have a big surprise for you. We will also help you with all the guest organization and activities months before the wedding. Ibiza churches are characteristic because of their architectural style. They were built as fortresses to protect the island from continuous pirate attacks. There are 22 churches and all beautiful. Even non-religious couples succumb to amazing arcades and altars. Our suggestion is “Es Cubells”, this is the only church with sea views which make it fascinating. Hotel where guests are staying. Route to the restaurant and landscape to enjoy. We are in charge of guest transfer and of taking good care of them at all times. ¿would you like some good advice to help you find the perfect venue for your destination wedding in Ibiza?